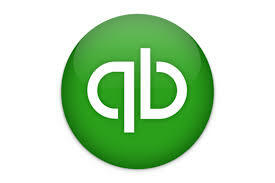 No question – Intuit is pushing QuickBooks Online – aggressively. Intuit is investing heavily in developing QuickBooks Online development, as evidenced by their online presence, sales team, and even two different focus groups I attended at the Sleeter Conf erence in November of 2015: The developer team for QuickBooks Desktop – Just a few developers, brilliant, but all of them new to Intuit, and none based in the U.S. We met in a tiny room. The developer team for QuickBooks Online – in the huge main conference room with Intuit’s top U.S. based developer team on stage. Is this a good thing or bad thing? Honestly, it doesn’t always feel good right now, but in the future it’s going to be a very good thing. Intuit isn’t perfect, but they know what they are doing. I am honestly somewhere in the middle right now. I love some things about QBO over Desktop, and I love some things about Desktop over QBO. I also realize that QuickBooks Online is a work in progress. The Bank Feeds – Transactions are auto-magically imported into QBO while we sleep or do other things – love it! The “recognized” transaction tab – most of these you can just push right in in seconds, literally. The renaming rules are smooth -BUT sometimes can be TOO helpful and often trip clients up by populating with weird stuff that looks legit – big mess. I have literally done 2 years of bookkeeping for a company in an hour. Time Billing for Consultants – While I’m not a fan of the Time Sheet layout in QBO vs. Desktop (why does it have to take up so much space?) Or the lack of billing rate levels – argh! I do like that you can SEE and change the billing rate when entering the time. I also love how the unbilled time sits out at the side of creating an invoice so you can just pop it right in. Also love the Unbilled time report – with $$$! We’ve begged for this in desktop for well over a decade. Because of the lack of billing rates, it’s limited, but when it works – it works great. Dashboards – Love the very slick dashboards in every section – A/R, A/P, Company Overview. For Accountants – the QBOA Portal and Wholesale Billing– All clients on one page makes it so easy to switch from one client to another throughout the work day. I just love it. The wholesale billing makes it easy to bundle the cost of QBO into value pricing. Would be excellent if they could figure out a way to NOT take up 2 users for this, though. Remote Cloud Based and Multi-User Access – Up to 5 users for one base monthly fee? The ability to access the books from anywhere, any time – priceless! 3rd Party App Integration, Including Paypal – While I am not a huge fan of Frankenstein systems – sometimes you need a 3rd party app. QBO is the hands down winner here, Apps integrate seamlessly (with an occasional exception). QBDT sync manager was the traditional integration method, but it’s being discontinued – and I’m not sad, it was very buggy. for PaypalYou can download .iif into QBDT (although Paypal makes it a challenge to find), but QBO has 2 options (confusing!) for paypal integration that are auto-magic. Always Backed Up – Oh, the data loss stories I could tell! No need to make sure your data is backed up with QBO (although some would argue with me). The big one: Lack of features for Inventory and Job Costing – I feel like every time I turn around, there is something QBO can’t do. Intuit’s answer to this is 3rd party apps that fill in the gaps. Well, it’s just not always the right answer to have a 3rd party program to extend functionality, especially when Desktop can do it very well. There are so many things missing in QBO in the area of inventory and job-costing, I just don’t recommend it. No progress invoicing (as of this posting but coming soon), no item-based job cost reports like Estimates vs. Actuals, no job cost payroll, no assembly items – the list goes on. I really really really wish Intuit would STOP selling QBO to clients that aren’t a good fit for it. I get calls almost daily from Contractors who find themselves in QBO with no job costing, and if I search the Intuit Community help for Job-Costing it is pages of people asking “How to Job Cost in QuickBooks Online?”. Not cool. Monthly fee for each Company – While QBO excels in the area of multi-user, QuickBooks Desktop excels in the area of multiple company files – you can have an unlimited number of companies in Desktop for one low price – with QBO, you have to pay per company file. Payroll – While you can enter the time into QBO by job, the payroll system doesn’t job cost it – wth? Multi-Window – This is actually split – In QBO, you CAN open multiple windows, but you gotta right click and open a new browser window- drag it over, it’s just not as efficient as QBDT, where you natively have multiple windows open in the program. However, in QBO you can have windows open on multiple screens in the same program and company file and in the 2018 version of QBDT, you can now open windows on multiple screens! You can also open multiple companies – more than 2 and fully functional – in QBO with multiple google chrome “users”, which is cool, but not exactly simple or efficient. Downtime, Account Glitches, etc – My colleagues and I have all experienced some frustrating QBO downtime as well as some very weird account issues with QBO. Desktop is always there for you (just don’t forget to back it up!). This is a VERY short list, and just observations from my experience – and most of my clients are on Desktop for Job-Costing. I am 100% sure my colleagues could make love/hate lists from here to China. Also, keep in mind that Intuit is frequently adding new features to QBO and I’ll try to keep this article updated as things change. QBO or Desktop? It’s truly a case by case basis at this point, but if QuickBooks Online is a good fit for my client, I always recommend it for it’s cloud based multi user platform and super easy bank feeds and the efficiency on my end. Unfortunately, it’s not a good fit for a huge number of my clients, but I’m really looking forward to the day when it is. For now, most of my clients are Contractors and use hosted desktop or Qbox for remote access.